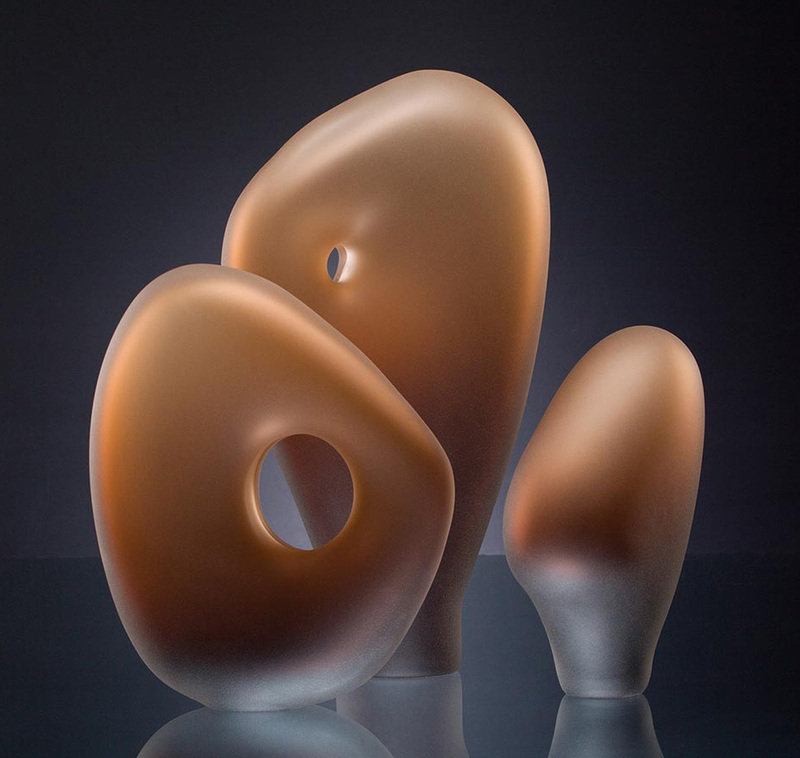 Melange Series 9 glass sculpture in tea color leaves the viewer to interpret the narrative from the interaction between the glass forms. This hand blown art glass sculpture was inspired by the sculptor Henry Moore. This work has been cold worked and sandblasted to create the translucent glow from within. For more information and pricing for Melange Series sculptures, please contact us directly.